Davide Negri also taught at the European Institute of Design in Turin and collaborated with the Politecnico di Milano. He has received several awards including the Compasso d'Oro - young project, for architectural digest award, Young & Design - Special Mention. Some of the products that he drew were entered into international events and have been published in several publications in the sector including Interni, Ottagono and Ddn. In 2011, Davide Negri took part in the first edition of Gruppo Sintesi workshop: Designers Only! 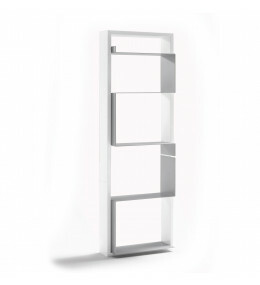 Mondrian Bookcase, designed by Davide Negri, is a playful yet function piece of storage.